John Davidson of Congers at last year’s 40 Days for Life. 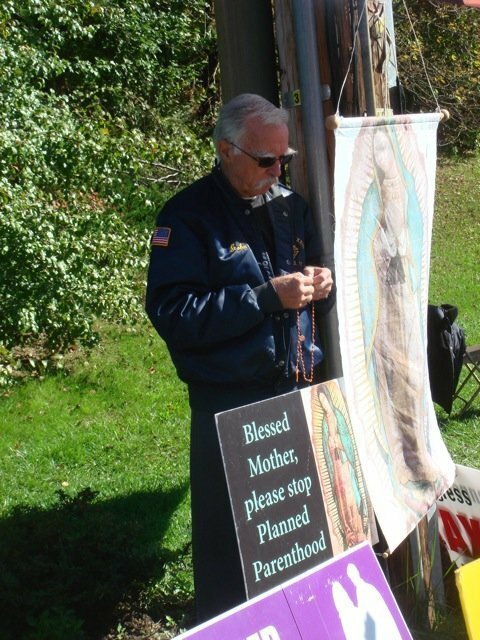 John, who passed away last June, was a staunch advocate of Right to Life, spending numerous hours in support of programs defending Life and the unborn. The Life Chain on Oct. 6 has been dedicated to his memory. We are beginning another 40 Days of Praying and Fasting to Protect LIFE. Please take one hour a week www.40daysforlife.com. The hours are from 9 am until 6 pm on public property at Perlman Drive in Spring Valley, and from 6 pm until 9 am at the Perpetual Eucharistic Adoration Chapel at St. Gregory Barbarigo Church on Cinder Road in Garnerville. We begin Sept. 25th at 3 pm.